Si Kahn recently commented, "My work in the civil rights movement led me through the coal camps and cotton mill towns of the South to the Brookside strike in Harlan county, Kentucky; the brown lung movement and the J. P. Stevens campaign in the Carolinas; and the critical work of organizing and coalition-building among black and white, women and men, rural and urban. The people I've met and worked with, their words and songs, their stories and jokes, have been the stuff out of which my songs have been woven. My hope is that these songs will help us find the strength in ourselves that we need to keep on keeping on." 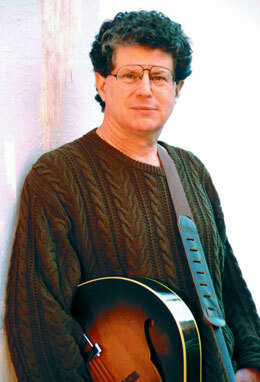 One of the finest and most prolific folk musicians at work today, Si crafts songs, including folk and bluegrass standards like "Aragon Mill," "Spinning Mills of Home," and "Wild Rose of the Mountain," that have been widely recorded and are sung throughout the world wherever people gather around a cause or just for a good time. Si's newest CD, aptly entitled Courage, is, like all his work, a tribute to the persistence and resistance of working people everywhere. He is also the founder and longtime leader of the nonprofit organization Grassroots Leadership, from which he recently announced he'd be retiring. In tonight's performance, Si shares his latest crop of tunes while raising funds to help support Grassroots Leadership's sustainability after he leaves its helm this coming May.